Last week I blogged about Using the Wait Statistics Report in Azure Data Studio, using a Linux VM in Azure as an example host. As that was my first time running wait stats analysis on a Linux host, I found that the PREEMPTIVE_OS_FLUSHFILEBUFFERS waits on Linux will show up as the top wait on SQL Server 2017 CU6 and higher with default options. The simple reason for this is that on some Linux servers where the underling I/O subsystem cannot guarantee durable writes when the power fails (i.e. 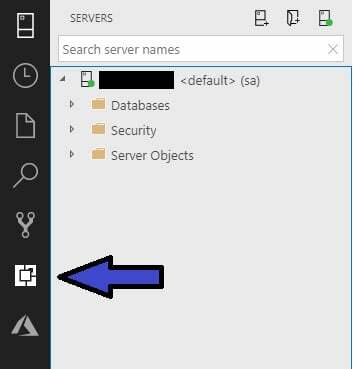 it’s using a volatile write cache), a power failure could lead to data loss within SQL Server. To work around this, 2017 CU6 introduced forced-flush behavior for log and data writing, including things like backups and writes to FILESTREAM files. This means that the writes will be done as normal, and then a call is made to the Windows FlushFileBuffers function, which is translated via the SQLPAL/HostExtension wrapper on Linux into an fdatasync call. There’s a very deep explanation of all the file system internals in Bob Dorr’s excellent post SQL Server On Linux: Forced Unit Access (Fua) Internals. If you know your I/O subsystem is resilient, you can disable this behavior, as described in KB 4131496. However, as this will be by far the highest wait on many Linux systems, and as it’s benign, I’ve added it to the list of waits I ignore and updated the Server Reports extension for Azure Data Studio to filter it out as well (this is now live as v1.4). PS I also just added the VDI_CLIENT_OTHER wait to the ignore list as well (common from Availability Group seeding), and submitted GitHub changes to Server Reports yesterday, which will be v1.5. Azure Data Studio, which used to be called SQL Operations Studio, has a bunch of extensions available, including one called Server Reports from Microsoft. Last year they took my wait stats query (from here) and made it into a report as part of Server Reports extension. In this quick post I’ll show you how to install that extension and look at the report. I’ve been using Azure Data Studio a lot as part of working with SQL Server 2017 on Linux in Azure and I like it a lot. It’s obviously not as comprehensive as SSMS, but for simple stuff it does the job. Note that the x-axis is percentage of all waits, not wait count. You’ll see that PREEMPTIVE_OS_FLUSHFILEBUFFERS is the top wait on my Linux instance – that’s by design and I’ll blog about that next. I’ve also submitted a GitHub change to add that wait to the list of waits filtered out by script the extension uses. Anyway, you can drill in to the details by clicking the ellipsis at the top-right of the graph and selecting ‘Show Details’. That’ll give all the waits and by selecting each one you can see the usual output from my waits script. To get more information on what each wait means, select the bottom cell, right-click on the URL to copy it, and paste into your favorite browser to go to my waits library. And of course, you can refresh the results via the ellipsis as well. There are many more useful extensions that you should check out too – enjoy!